From franchises such as Star Trek and Star Wars to films like Sleeper and Forever Young, cryonics—the preservation of individual life by freezing the body—is a fairly regular plot device in popular culture. But whereas large-scale cryonics is often seen as the stuff of science fiction, cryopreservation—the process of preserving biological tissue, cells, or organs by cooling them to very low temperatures—is actually a scientific reality and the subject of continuing research in numerous fields. Recently, a team of researchers from the University of Minnesota and the Smithsonian Conservation Biology Institute (SCBI) published findings that will have a lasting influence on the field of cryopreservation, as well as broader implications for human health, wildlife conservation, and aquaculture. Published in ACS Nano, the scientific journal of the American Chemical Society, the study details evidence for the successful—and reproducible—cryopreservation of zebrafish embryos using lasers and gold nanotechnology. Because of this, scientists have to be very careful when thawing specimens. As explained in a news release from the University of Minnesota, fish embryos tend to be larger—and thus more difficult to thaw quickly. 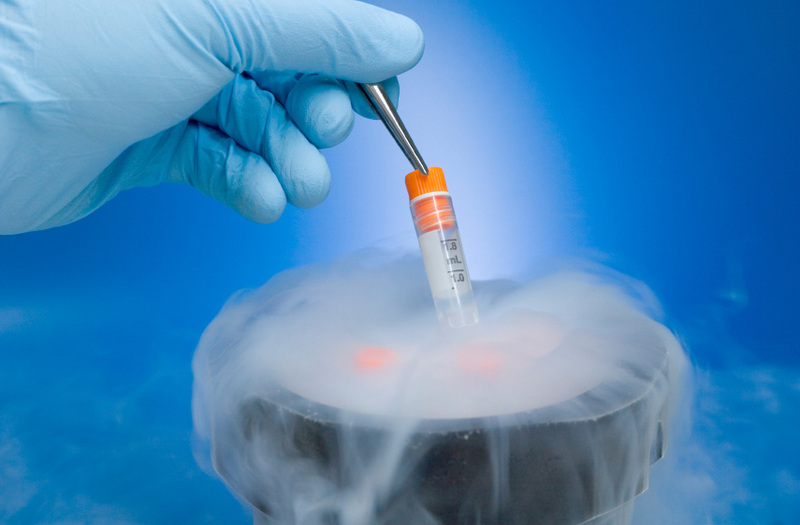 The antifreeze was meant to serve as a cryoprotectant for the embryo, by preventing the growth of ice crystals throughout the thawing process. Unchecked, these ice crystals could protrude the membrane, ultimately causing the embryo to fall apart. However even when using antifreeze, the process was hit-or-miss, as the natural defense mechanisms of aquatic embryos often blocked the cryoprotectants out entirely. With that in mind, Khosla and fellow researchers John Bischof, Yiru Wang, and Zhenpeng Qin of the University of Minnesota, and SCBI research scientist Mary Hagedorn, turned their research to lasers, gold nanotechnology, and zebrafish embryos. 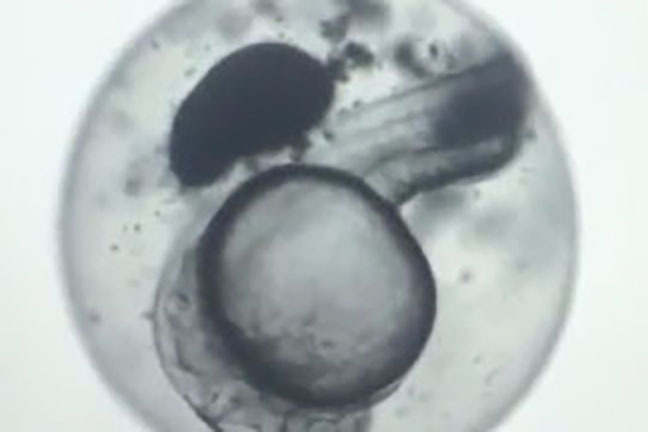 The team used zebrafish embryos as a model due to their similarities to the embryos of so many other aquatic species. As Khosla explains, “We are going through a mass extinction. Fish and other aquatic life face the biggest danger.” The hope in researching this technology was that it could lead to the protection and preservation of several endangered and important species. On top of this, zebrafish have proven to serve as an important medical model for human health. Since the completion of the Human Genome Project in 2003, scientists have been able to identify zebrafish as having a similar genetic makeup to humans. More specifically, scientists have recognized counterparts of up to 70 percent of human genes in those of zebrafish. The gold nanotechnology used in this study consists of tiny, cylindrical gold nanorods that are “uniquely designed to absorb and generate heat for specific laser wavelengths,” Khosla told Twin Cities Geek. The use of injecting gold nanorods into the zebrafish embryos along with the cryoprotectant allowed whole embryos to warm consistently—and in a fraction of the time it takes for the warming method that’s traditionally been used. Furthermore, once the embryos thawed, they showed signs of normal growth and development for up to 24 hours after warming. While the results of this project are undoubtedly promising, there is still work yet to be done. The team hopes to continue researching this technology to find ways for fish to survive and flourish past the 24 hour mark, and ultimately to apply the method to other aquatic embryos as well. So while the type of cryonics we see in science fiction might not be quite within reach, we just may have found an important tool that could help protect and preserve endangered species from the tolls of impending extinction.